Following their dream, Horse Creek Woodworks was launched by Eric and Virginia Pendexter in 1998. We are a family owned business small enough to manage all aspects of your project with care and large enough to manage large jobs with relatively short lead times. Our clients have enjoyed the manufacturing ability of a large company but with the work ethic and quality of a family owned operation. 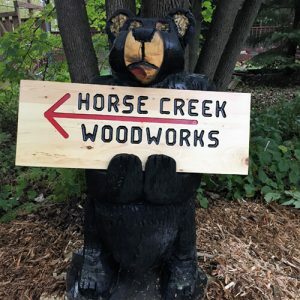 Horse Creek Woodworks serves Western Wisconsin and the Minnesota Metro area. We also have the capability of shipping our products to anywhere within the United States. 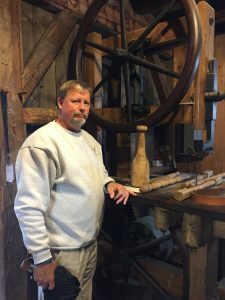 Eric is originally from Maine with over 32 years of experience in Custom Woodworking, Millwork Production, Boat Building, and Home Construction. 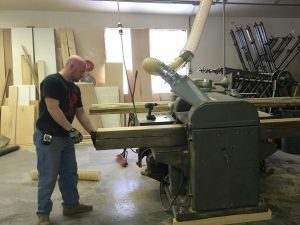 Virginia with deep roots in Wisconsin, sharing the dream with her husband in creating a custom woodshop maintains the accounting, payroll (the staff appreciates), social media and keeps the vision alive with a strict budget. Jamie Berhow our niece is “Our girl-Friday”. She provides her much needed organizational skills in assisting Virginia. 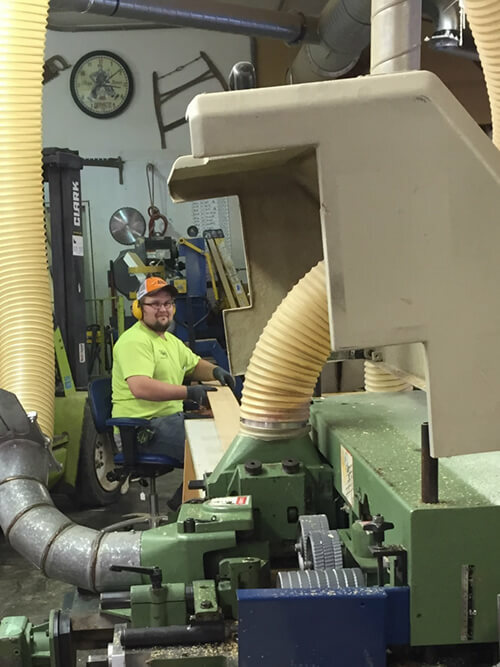 Along with other valuable and much needed skilled crew members, Horse Creek Woodworks continues to grow. 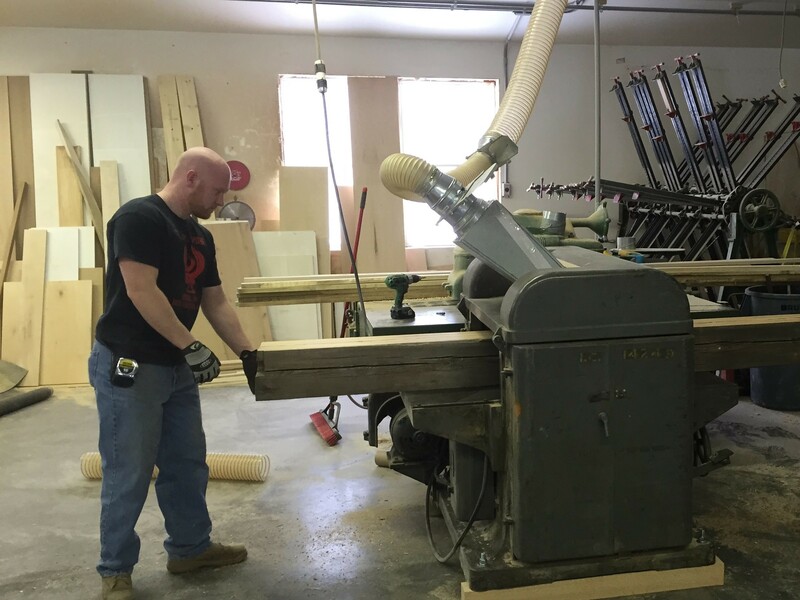 Eric and HCW craftsman offers site visits to gain a better understanding of our customer’s visions and needs. Whether you desire a simplified molding with an eased edge, a more elaborate inlaid molding with contrasting hardwood inlays, or anything in between, we are able to create the look and style that suits your projects. 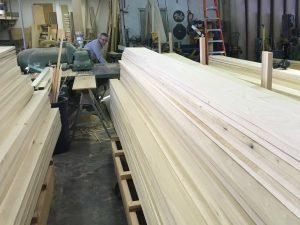 Horse Creek Woodworks manufactures all moldings and millwork from hand selected hardwoods that are inspected for moisture content, color and grain patterns. Thousands of custom precision knives in stock making for endless profile possibilities. Horse Creek Woodworks cares about the finished product. All Horse Creek Woodworks moldings are manufactured to a tolerance of .005 of an inch with attention paid to providing the lengths you need. Any of our profiles with flat surfaces are sent through the wide belt sander at 150 grit saving time on site. All moldings are quality hand inspected and packaged before leaving our shop. We understand deadlines and work with your time constraints.